Recently, I was one of several experienced foragers who led wild plant walks as part of a local group’s fundraiser. One of the other foragers was Janice Schofield, author of Discovering Wild Plants: Alaska British Columbia The Northwest. 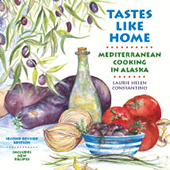 This book is the single best resource for Alaskan foragers. Schofield’s book is reliable, comprehensive, and easy to understand. If you’re a forager in the covered regions (or just someone interested in wild plants), and you don’t have this book, I’d encourage you to buy it immediately. You won’t be sorry. 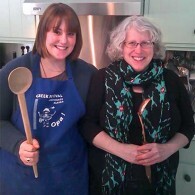 As one might imagine, I was thrilled to meet Schofield and admit I got all fan-girly over her. I knew I should rein in my enthusiasm, but I just couldn’t. One of the things we talked about was cow parsnip. Schofield said she’d been making and enjoying cow parsnip chips. Inspired by kale chips, Schofield said she tossed cow parsnip leaves with olive oil and tamari and dried them in a dehydrator. 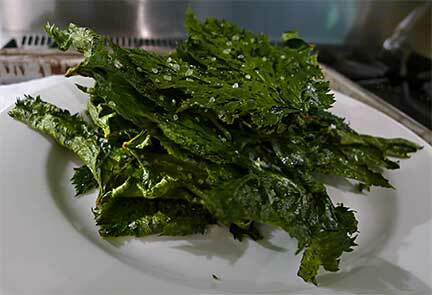 I love kale chips and couldn’t wait to try the cow parsnip version. I used an oven rather than a dehydrator, and salt instead of tamari (concerned that adding liquid would make it harder for leaves to crisp up). After the first batch, which we loved, I’ve since made seven more, one with smoked salt and another with the addition of wasabi powder. All were delicious. Quantities in this recipe are all relative. Using a clear plastic grocery-store vegetable bag, I filled it 3/4 full with trimmed cow parsnip leaves and added 2 tablespoons olive oil. The leaves were a nice balance between crispy and oily. Remember, until cow parsnip is cooked, it can cause skin rashes or burns, so be sure to wear gloves. For related article, linked above, has more information about handling parsnip. Preheat oven to 300°F (or 275°F convection). Cut off all stems from cow parsnip leaves, no matter how small; they take longer to cook than leaves. If you leave stems on, you’ll either have crispy leaves and soggy stems or crispy stems and overcooked leaves. Wash leaves and dry well in salad spinner and towels. Put leaves in plastic bag and drizzle with olive oil. Massage oil into leaves. Place on parchment paper covered baking sheets in single layer; leaves shrink when cooked so may be placed close together. Sprinkle with salt and, if using, wasabi powder. Bake for 25 minutes (20 minutes convection), rotating baking sheets halfway through cooking time if preparing 2 or more baking sheets at a time. Remove from oven, put baking sheets on racks, and cool chips on baking sheets. Store in air-tight containers. NOTE: I’ve made chips with leaves on 6-8” stalks and on 18” stalks, all harvested in spring from immature plants. 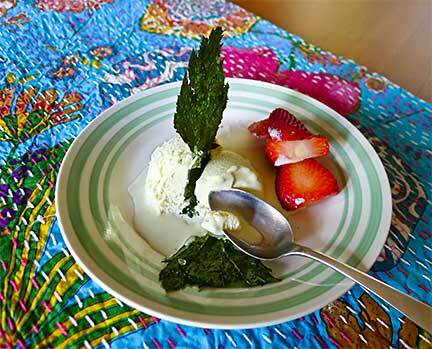 Both sizes taste the same, although bigger leaves are a more convenient size. OK, cow parsnip harvested and cooked two ways…verdict is that cow parsnip tastes just like it smells. It’s not bad and it’s nice to know I can eat it if I have to, but I don’t think I will be cooking it again soon! Thanks though for enlightening me to yet another healthy local edible.